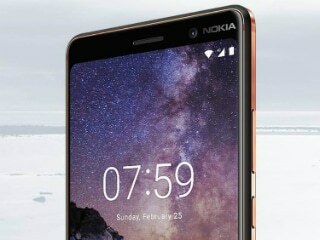 HMD Global has recently been embroiled in a controversy, after a report said its Nokia handsets sent information to China. Finland’s data protection ombudsman also said that it would investigate whether Nokia-branded phones had breached data rules or not. Now, HMD Global has released a new statement, shedding more light on the allegations, and whether the Nokia 7 Plus indulged in data breach or not. It says that a software mistake caused this error, but no personally identifiable information has been shared with any third party. The company says that it has already fixed the issue in February itself, by switching the client to the right country variant. It also confirms that nearly all devices have already installed the fix. To check if your Nokia 7 Plus has received the security fix, head to Settings > System > About Phone > Scroll down to ‘Build Number‘. If your phone shows ‘00WW_3_39B_SP03′ or ‘00WW_3_22C_SP05’ as the Build number, you have already installed the fix on your Nokia 7 Plus. If your phone isn’t up to date, then check for an update by heading to Settings >System >Advanced >System Update >Check for Update. HMD Global also refutes allegations of other Nokia phones sharing similar data with third-party servers. “We can confirm that this is incorrect speculation and no Nokia phones are impacted. All device data of Nokia Phones other than the China variant is stored at HMD Global’s servers in Singapore provided by Amazon Web Services. HMD Global takes the security and privacy of its consumers seriously and complies with all applicable privacy laws. Data collected from our devices is stored safely in accordance with applicable laws,” the company notes.